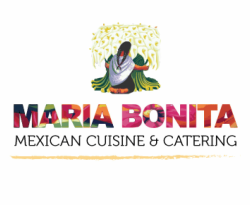 Gracias for your interest in Maria Bonita! Please fill out the information below and one of our catering coordinators will get back to you within 2 days. Due to the high volume of catering requests, we have a $100 minimum order for all deliveries. Place your order at least 48 hours ahead of time. Once an order is received, our catering coordinator will send you an estimate within 24 hours for your review and when confirmed, an invoice will follow. Feel free to pay online :) Upon availability, our delivery fee is $15 in the Omaha metro area. We require a 48 hours cancellation notice or the full price will be charged. Disposable chafing kit & serving utensils are $14 each.